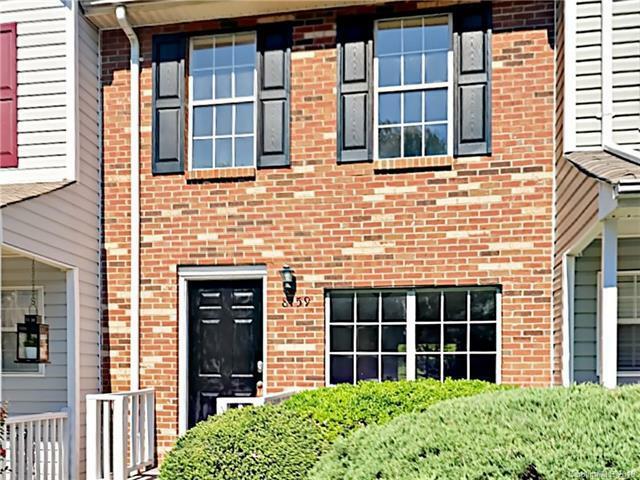 Handsome 2BR/1.5 condo in sought after South Charlotte neighborhood. Recently updated with fresh two tone interior paint throughout, and all new flooring. New carpeting in main living areas. New vinyl plank floors in kitchen and bathrooms. Spacious living area flows into dining room with attached kitchen. Kitchen showcases stained cabinets, stainless steel appliances, and granite counter tops. Both bedrooms upstairs, plus Jack and Jill bathroom. Home complete with private, attached wooden deck overlooking back yard area including golf course view. Community is located close to Arboretum Shopping Center, and I-485! A definite must see! !